Support Artists on GiveNOLA Day! 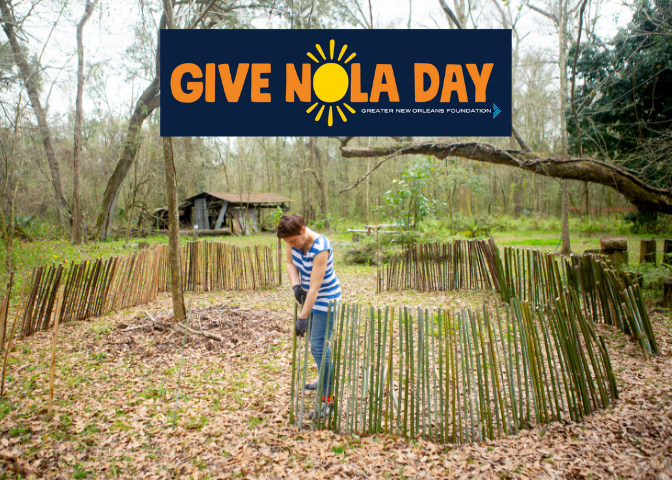 Support artists by making a donation to A Studio in the Woods this GiveNOLA Day! All funds raised will go directly towards supporting our artist-centered programming, specifically Adaptations Residencies for the 2019-20 season. Adaptations Residencies invite artists to examine how climate driven adaptations – large and small, historic and contemporary, cultural and scientific – are shaping our future. These residencies provide artists with time, space, scholarship and staff support to foster critical thinking and the creation of new works. The works fostered during these residencies challenge us to consider how we interact with our environment and each other admist our current climate crisis in new and inventive ways. Your gift will help bring these works, and the change they foster, into being. Thank you for supporting artists this GiveNOLA day!